Sensei Wayne Marble earned his Black Belt in Judo from Sensei Mike Hillen back in the early 1990's. He currently holds the rank of 4th degree Black Belt in Judo awards by Sensei Steve Scott. Sensei Marble has been training students in the art of Judo for many years now. Several of his students over the years have metaled in the Jr. Olympics and even the Jr. US Open Judo Championships. Judo is a martial art that was derived directly from Japanese Jujitsu. It was founded by Dr. Jigoro Kano in 1882. This art focuses on throwing and grappling techniques with its principals being to utilize maximum efficiency and mutual benefit and welfare. Dr. Kano created this art as a sport that would allow practitioners to practice in a fun way and perfect their skills in competition. From a world wide perspective, Judo is one of the most popular sports in the world. It is a required class in Japanese schools and its popularity throughout Europe is tremendous. In 1964 Judo was included in the Olympic games and still is to this day. Our school offers Judo programs for both Kids (Jiu-Jitsu yellow belt and up) and Adults. In the picture above you will see that our state of art matted flooring includes hundreds of foam blocks underneath to allow the floor to give enough to prevent many of the injuries common to practicing Judo. It is important for our students and prospective students to understand that our Judo program assumes that you are also participating in our Jiu-Jitsu program. We have an exceptional Brazilian jiu-jitsu program here at our school. In our Judo classes, we work on the throwing techniques of Judo. We know that you will get incredible grappling practice to support your throwing skills in our Jiu-Jitsu classes. Over the years, the sport aspect of Judo has changed significantly (the rules have changed). For example, one new rule is that you can no longer grab the legs in judo competition. In my opinion, several of these new rules such as this one severely limit the use of Judo as an actual martial art. Furthermore, many of our students compete in Brazilian Jiu-jitsu competitions as well as other grappling competitions that do not impose these limiting rules. Our students need to know how to defend leg attacks and such, therefore we still practice them. 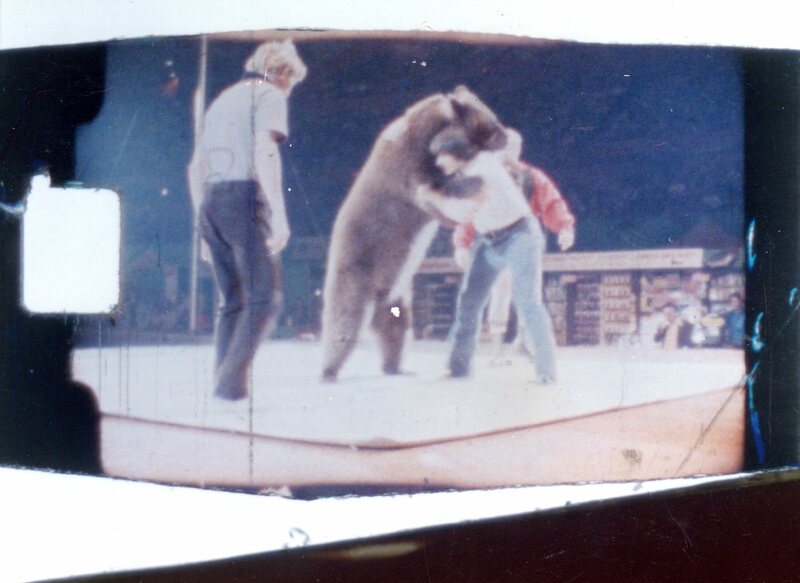 He was the only one that did not get thrown by the bear!